Seriously, how hard is it to bookmark and use an online dictionary?!? As a business professional or entrepreneur, you most likely type a vast variety of words into documents and emails every day. Such documents or emails may be outward bound to a current or prospective customer/client. I’ll speculate you use some type of spell check tool to ensure the absence of typos and fat-fingered additional spacing. Sometimes, Spell Checkers Stop Making Sense: If you tend to type fast, there’s a good chance you will make spelling mistakes. 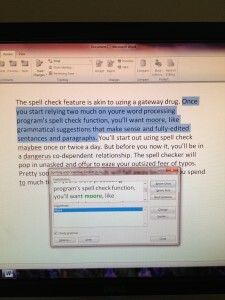 A spell checker is quite happy to offer you solutions, but not all of them will be appropriate. Also, formal nouns like names and places tend to bring out any spell checker’s twisted sense of humor. Your Spell Checker Doesn’t Know Every Word in the Universe: Are you using an increasing number of foreign language words, unusual names, or remote geographical places in your documents and emails? To reduce the wide net your spell checker casts, start adding all such words into its dictionary. I know, I know – I don’t always make time to do this either, but I should. You should too! How many of you already manually proofread your documents? 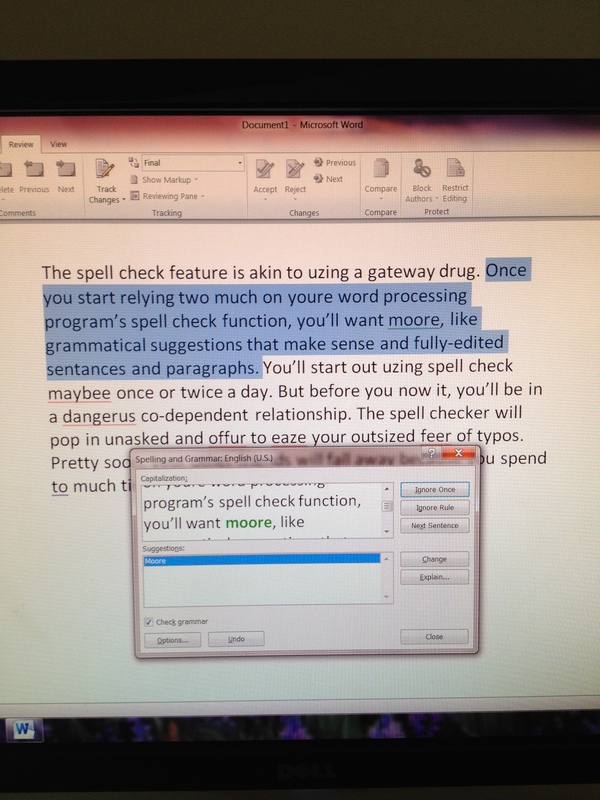 What is the funniest or most bizarre suggestion ever offered to you while running a spell check? ← Great Zeus – Business Leadership Profiles From Greek Mythology! The clearly-relied-on-spellcheck error I see more than any other is the use of ‘form’ in the place of ‘from’ … the typo is missed in a spell check since ‘form’ is a word, but the sentence always ends up sounding silly and always lets me know the person did not read the doc before sending. Even better than spell checkers are the auto correct features in Word and/or smart phone … I’ve fallen victim myself to sending-before-reading and have completely embarrassed myself! Your auto correct observation makes me realize I should consider taking on this topic as a future blog post. Have iPhone, will incorrectly spell…thanks for your comment!